Lone jihadists: The new face of UK terror? My latest for HSToday’s website. The converts aspect is a theme i am currently expanding further in a bigger project, and any thoughts or ideas or pointers for others doing such work would be greatly appreciated. In fact, any comment or thoughts generally would of course be appreciated. One small prob, this has possibly the worst picture of me in circulation on it. 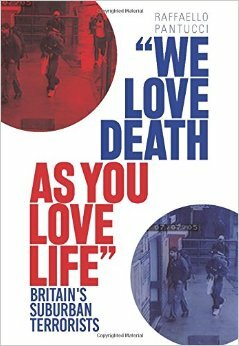 To surprisingly little fanfare, Britain recently faced a number of close-call domestic home-grown terrorist plots. First there was the case of Andrew Ibrahim, a 19 year old convert to Islam who was arrested on April 17 in possession of a suicide belt after a two week investigation set off by an intelligence tip-off. Then, just over a month later on May 23 in the western British city of Exeter, Nicky Reilly (aka, Mohammed Rasheed) attempted to detonate a series of bombs in a restaurant. Reilly, a 20-year old convert to Islam with a history of mental illness, was the only person hurt in the attempt when the bomb he was preparing exploded in his face in the rest-room of a chain restaurant. Given how close both attempts were, it has been noticeably strange that both received little coverage beyond the immediate incidents. In Reilly’s case, police cordoned off the area for about a day, and seized two men from an open-air cafe the following day in nearby Plymouth (Reilly’s city of residence). In response to Ibrahim’s bombing, on the other hand, police cordoned off the immediate area and evacuated residents before carrying out a series of three controlled explosions. Both Reilly and Ibrahim are in custody, while one of the two men originally arrested as part of the Reilly case, Rafik Aouamria – described as North African – is due in court later this month on unrelated charges of possessing a false passport and attempting to obtain work with it. The other individual was released without any charges. There are a number of possible reasons for the relative lack of coverage of the plot. In the first instance, the apparent treasure trove of obvious bomb making materials found on both men (Reilly was caught with the bomb in his hands, while Ibrahim was captured with Hexamethylene Triperoxide Diamine as part of a number of suicide belts in his possession) meant that from a prosecutorial perspective the cases were relatively open and shut and, consequently, the British media’s ability to cover them limited given the rigid sub judice legislation protecting defendants rights to a free trial. Another possibility, as expressed by a journalist HSToday.us spoke to, is that the media was distracted by a politically important local election happening on the same day as the Reilly attempt. This may not offer an explanation as to why the Ibrahim case received so little coverage, but given the almost constant stream of arrests and court cases currently clogging up the British public’s attention, such an odd case might simply not have caught the public imagination. As more information became available in Reilly’s case, including information that he was mentally incompetent, the sense smong the public was that this was simply a case of someone taking advantage of a simpleton. Given neither case appeared to have any connections back to Al Qaeda, and that both seemed to be driven by quirky individuals, the public perception is that both were lone-wolf scenarios. Another report though indicated Reilly was on the fringes of an investigation into a group that did not currently appear active. It was widely reported that he apparently received a text message of encouragement immediately before the attack took place. How Ibrahim appeared on police radars is less clear, though it may have been related to his history of involvement with drugs. Aside from awakening the British security services to an apparently elevated threat from a corner of the country not considered significant by counterterrorists, these two plots raised the alarming prospect that the UK faces a bigger threat from converts than was previously suspected. Converts in British plots are not a new feature. “Shoe-bomber” Richard Reid, 7/7 bomber Germaine Lindsay, and more recently Transatlantic Airline plotter Umar Islam (formerly Brian Young), are all prominent examples. Unlike these examples, however, both Ibrahim and Reilly are white converts to Islam – the first times such individuals have been caught involved in attacks in the UK. Interestingly, on the same day as Andrew Ibrahim was first apprehended, a court in London passed down sentence on another Caucasian convert and member of the now banned radical group Al Muhajiroun. Simon aka Suliman Keeler was sentenced for “inciting terrorism overseas” and “terrorist fundraising” for a total of four and a half years – the first time a white convert has been incarcerated for Islamist terror charges in the UK. It is hard to tell which aspect of this series of terrorism is part of a new trend: The lone-wolf element of the Reilly and Ibrahim cases is something that has already raised concerns on both sides of the Atlantic (the Washington Post highlighted concerns of “personalized jihad” being high on a list of concerns at the National Counterterrorism Center). The increasing prominence of white converts in European plots (both in Germany and the UK) is behind the decision of the US Department of Homeland Security to start the Pre-Travel Authorization Program for visitors to the US from visa-waiver countries. The most alarming element, however, is likely the Internet. Although unconfirmed, it is likely the source of Reilly and Ibrahim’s radicalization, as well as the information for their construction of the explosive devices they made. In line with Al Qaeda theoretician Abu Musab al-Suri’s strategy of a “global leaderless insurrection,” Reilly and Ibrahim appear to have wholeheartedly embraced Islam (Ibrahim converted two years ago and Reilly about four years ago) and sought to express their devotion violently with an unclear amount of external support. Certainly neither had any connection to Al Qaeda central in Waziristan, but their actions, if successful, would doubtless have been praised by Al Qaeda’s central leadership. Both men can be described as having had troubled pasts and being relatively alienated from their surroundings, but this is hardly a distinct profile; both were ultimately able to function in normal society without apparently raising any fears that they were Islamist terrorists. For both security services and the public, the alarming question remains: Is this the new face of terror that we can expect? Editor’s Note: The Canadian government’s Integrated Threat Assessment Center recently declassified its for official use only report, “Lone-Wolf Attacks: A Developing Islamist Extremist Strategy?” which warns of the emerging threat posed by “lone wolf” Islamist terrorists.